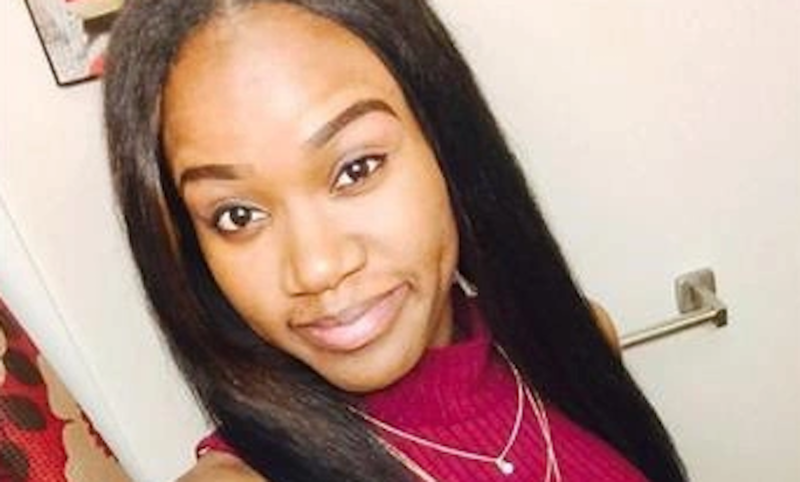 Police suspect foul play in the disappearance of Kierra Coles, a 26-year-old pregnant postal worker who went missing about two weeks ago. Coles, 26, was last seen on Oct. 2 in the Chatham neighborhood, CBS Chicago reports. She is three months pregnant with her first child. "Based on the length of time of Kierra Coles' disappearance and the fact that she has fallen off the grid, police suspect possible foul play," the Chicago Police Department told The Associated Press. "We continue to get leads and are following up diligently on those leads." Surveillance video from the South Side neighborhood shows Coles walking past her car in her U.S. Postal Service uniform, even though she had called in sick that day, WLS TV reports. Coles' mother, Karen Phillips, called police to report her missing two days later. She said she became concerned that her daughter hadn't called her and that her calls to her daughter's number went straight to voicemail. Police went to Coles' home to conduct a well-being check and didn't find her, but saw that her car was parked out front. "She wouldn't go this long without talking to me," Phillips told WLS TV. She said when the two did talk on Oct. 2, her daughter told her how happy and emotional she was to hear her baby's heart beating. "We talk every day. She wouldn't have me worrying like this."